Breakfast is the most important meal of the day, they say! 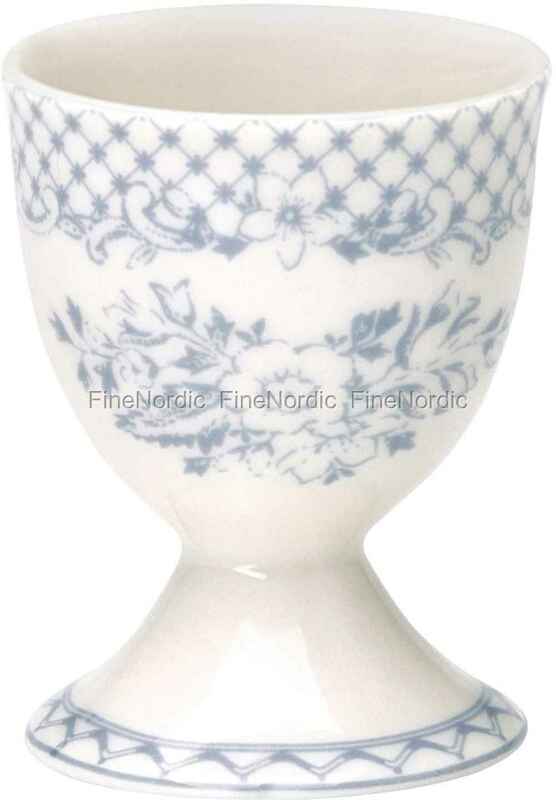 So why not start your day in style with the beautiful egg cup Stephanie Dusty Blue from GreenGate. The dusty blue flower design looks charming on the light background. You can mix and match it with other tableware pieces from GreenGate’s Stephanie series or use it together with single-colored dishes to make it stand out. The egg cup is dishwasher and microwave safe and because of its “eggcellent” GreenGate quality, you’ll be able to enjoy your breakfast egg with it for many years to come.